THE SKYLARK’S SONG – SIGNED! THE SKYLARK’S SAGA is a three-­book YA WWI alt­history fantasy from author J.M. Frey. 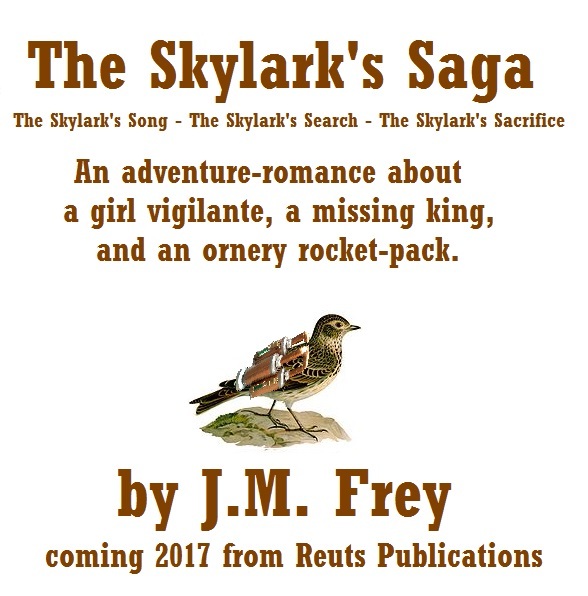 Scheduled to release in 2017 from REUTS Publications, The Skylark’s Saga combines the militaristic steampunk of Scott Westerfield’s Leviathan with the espionage of Gail Carriger’s Parasol Protectorate and rebellion of Marie Lu’s Legend ​Trilogy. Suited for a 16+ ​audience, this gripping series features a PoC protagonist and centers on the morality of vigilantism, the burden of power, and what it means for the poor and downtrodden when the nobility play at war. 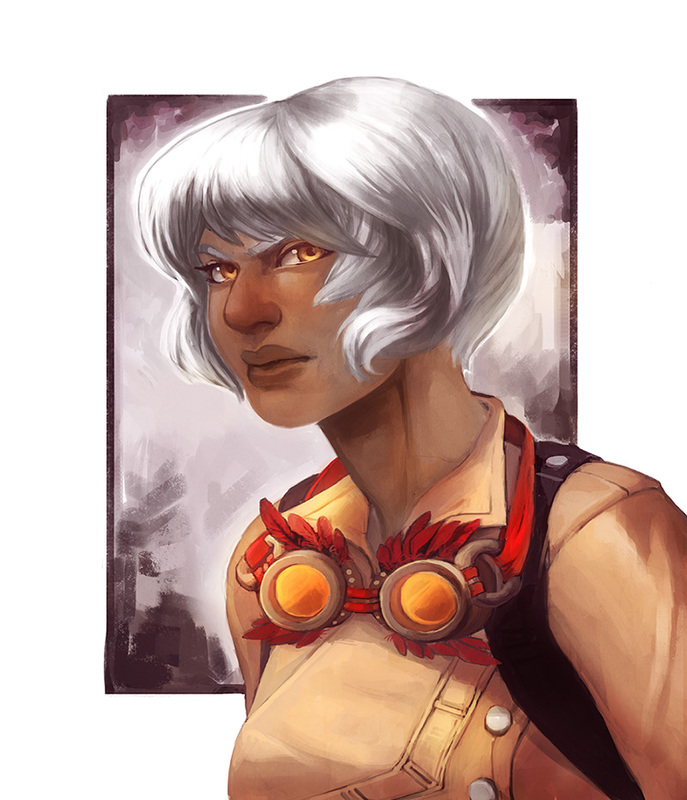 Listen to “The Skylark’s Song” by Parisian Steampunk band Victor Sierra, which was directly inspired by the books. J.M. is an actor, voice actor, and SF/F author, fanthropologist and professional geek. She’s appeared in podcasts, documentaries, and on television to discuss all things geeky through the lens of academia. She also has an addiction to scarves, Doctor Who, and tea, which may or may not all be related. 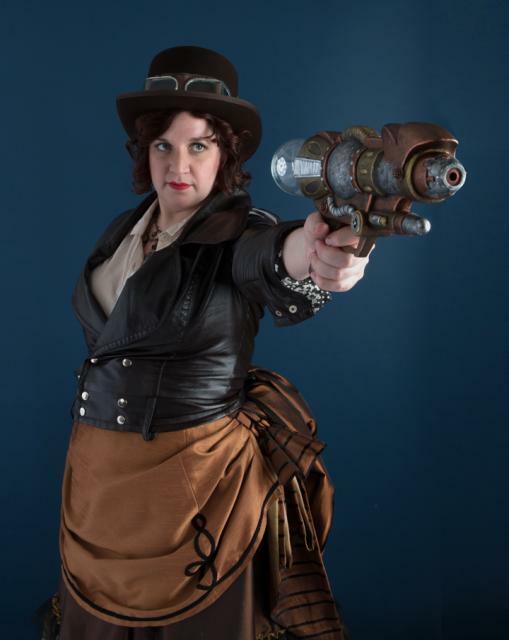 She is a Steampunk nerd at heart, best known on the internet for her Steampunk Shadow Cat and Steampunk TARDIS Gown cosplays, and is looking forward to finally being able to stretch her literary WINGS into this aesthetic. Her debut novel TRIPTYCH was nominated for two Lambda Literary Awards, won the San Francisco Book Festival award for SF/F, was nominated for a 2011 CBC Bookie, was named one of The Advocate’s Best Overlooked Books of 2011, and garnered both a starred review and a place among the Best Books of 2011 from Publishers Weekly.